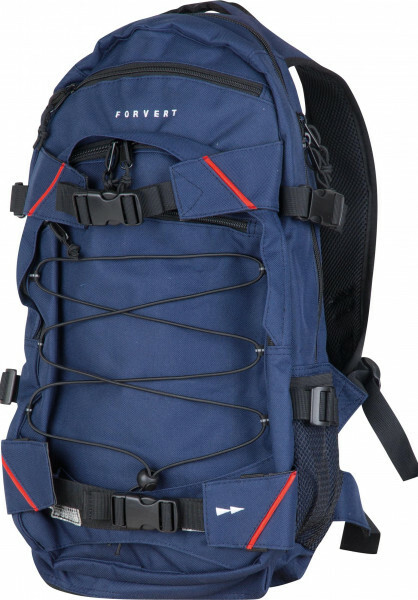 The Forvert Louis backpack is as practical as it is stylish. This baby is available in various fresh colorways and comes it with enough storage room for all your stuff, a board-catcher and numerous other clever features which make the Louis a total highlight when it comes to the quality/price ratio. - mesh-pocket for bottles etc. A great backpack for everyday use with small pockets, holder for a water bottle and skate/snowboard. It looks flat but you can pack inside your whole weekend trip. Only thing that I was missing is some own place for a laptop or a tablet.